Was George Michael's Death a Result of Opioid Addiction? George Michael’s Death a Result of Opioid Addiction? 2016 was no doubt a devastating year for music. We witnessed the death of close to twenty prominent musicians including David Bowie and Prince, among others. Just when the year was almost a wrap, we were hit with one last shocking death on Christmas day – that of British pop star George Michael. There is much speculation surrounding his untimely death from reports of suicide to excessive drug use. His unfortunate history with narcotics may have played a role in his death at the age of 53. So, was it in fact, his struggles with legal and illegal opioid use that led to his death? Read on to find out more about Michael’s presumed opioid addiction and potential overdose. George Michael was born in North London to middle class parents. His mother was a dancer and his father owned a restaurant. He rose to fame in the 1980s for being a member of the music duo Wham!. He then went on to have an extremely successful solo career selling over 80 million records worldwide and was one of the best-selling artists of all time. Due to his celebrity status, age, and public battles with drug use, many have speculated that his death was the result of an overdose. His drug use has been well documented, including a 2008 arrest for using crack cocaine in a public restroom and more recent reports of cocaine use again in 2015. He is said to have attended a long term rehab program in Switzerland in 2015 after a collapse. And just weeks before his death he was reportedly rushed to the emergency room several times and had secretly been using heroin. Michael became quite reclusive in recent years, spending most of his time in his home and possibly at odds with his partner Fadi Fawaz. Close to the time of death, Fawaz revealed on Twitter that Michael was also struggling with depression and wanted to die. Sources close to Michael report recent heroin use as being a major issue, but family members have denied this since the initial news of his passing. Darren Salter, the senior coroner for Oxfordshire, ruled that George Michael died of natural causes. He reported that the singer died from dilated cardiomyopathy with myocarditis and fatty liver. Myocarditis is inflammation in or around the heart, which is usually caused by a viral, bacterial or fungal infection. Fatty liver can be caused by excessive drinking, but it’s not clear what the actual cause was in Michael’s case. His family asked for privacy and did not want toxicology reports to be released publicly. So, was it in fact, his struggles with legal and illegal opioid use that led to his death? We can only speculate on the exact cause of his death. What we do know is that the death of George Michael is a huge loss to the world. Both his life as a music icon and his untimely death have once again shone a light on the worldwide epidemic of opioid addiction. Michael’s death comes at a time when opioid use and addiction is at some of the highest rates ever seen. According to the Center for Disease Control, opioid abuse and overdose has been on the rise over the past 15 years and more people died from drug overdoses in 2014 than in any other year on record and the majority of drug overdose deaths involved an opioid. So why are so many people using opioids now? One reason is the nature of the drug and its pleasurable effects on the body. Opioids work by attaching to specific proteins called opioid receptors, which are found on nerve cells in the brain and on other organs in the body. When these drugs attach to these receptors, they reduce the perception of pain and can produce a sense of well-being or euphoria in elevated levels. When opioids are used over the long-term (prescription or other), the production of naturally occurring opioids is inhibited, which tends to cause painful withdrawal symptoms in users. Opioids are also increasingly accessible for individuals, particularly the legal form found in prescription painkillers. Once the pleasurable effects of opioids are felt in their initially prescribed dosage, it is very common for individuals to seek to intensify their experience by taking the drug in ways other than those prescribed. People may start by increasing dosage and then graduate to try alternate ingestion methods (like injection), or by pairing the drugs with other drugs or alcohol. These alternate usage methods may lead to quicker onset and heightened intensity of effects, but also come with a slew of additional risks including overdose or death. This might have been how Michael’s death occurred. If you or someone you know is struggling with opioid addiction – either legal or illegal – do something now. Opioid addiction will take over your body and mind rapidly, and for many, just the thought of being without the drug or experiencing the physical withdrawal overwhelms the desire to rid yourself of the addiction. At The Dawn, our staff (many of which have also struggled with opioid addiction in the past) understand this and have built a world-class detox facility on-site that provides clients with a safe and comfortable environment to undergo opioid detox with medical staff on call 24 hours a day. Contact us today or call +66 63 048 4877, and take the next step in securing you or your loved one’s future. 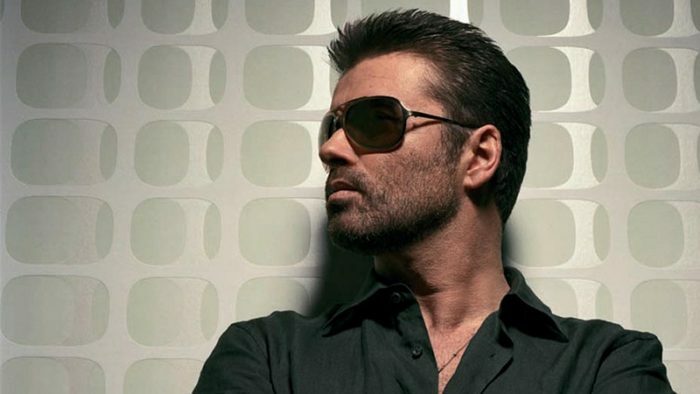 We at The Dawn offer our sincere condolences for the family, friends, and fans of George Michael who undoubtedly lost a hugely talented musician and regardless of the causes, hope that his death induces a continued conversation about the devastating and indiscriminate effects of opioid addiction and contribute to prevention or recovery efforts.